The steam juice extractor is perfect for making home made juice over the stove in the kitchen. With steam juicer you can steam the juice out of the berries or fruit, pour it directly to the class bottles or jars and store it for longer period than just fresh juice. 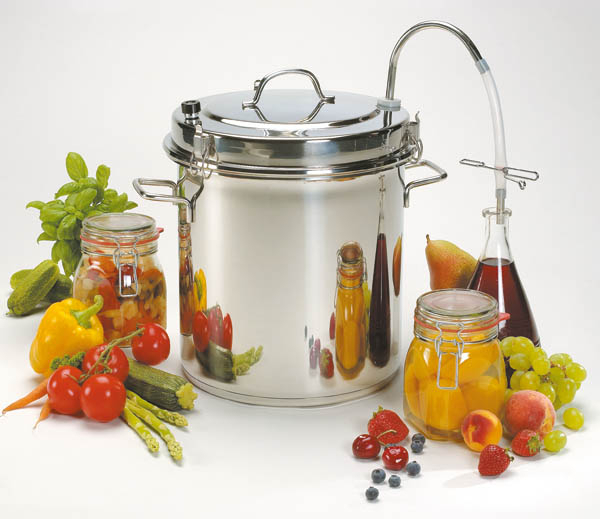 You can also use it to make jelly or jam or use it as a regular steamer for cooking vegetables.